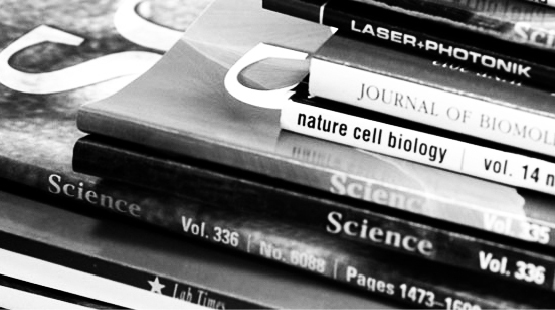 ICREA researchers are extremely active academics and produce a large amount of high profile papers, books and publications of all kinds, as well as PhD supervisions, keynote conferences in congresses and symposia, talks, and all other forms of academic output. Looking for an expert in a particular field? From medieval military history to pulsar theory, we bet you will find it among the ICREA ranks. Use the search engine to help you narrow down your search. You can look for specific expressions, try keywords or go directly to the researcher site if you know their name. Oyarzun, Javiera P.; Camara, Estela; Kouider, Sid; Fuentemilla, Lluis; de Diego-Balaguer, Ruth 2019, 'Implicit but not explicit extinction to threat-conditioned stimulus prevents spontaneous recovery of threat-potentiated startle responses in humans', Brain And Behavior, 9, 1, e01157. Oyarzún J, Camara E, Kouider S, Fuentemilla Ll., de Diego-Balaguer R. (2019) Implicit but not explicit exposure to threat conditioned stimulus prevents spontaneous recovery of threat potentiated startle responses in humans. Brain and Behaviour; 9(1):e01157. Garcia-Gorro, Clara; Garau-Rolandi, Maria; Escrichs, Anira; Rodriguez-Dechicha, Nadia; Vaquer, Irene; Subira, Susana; Calopa, Matilde; Martinez-Horta, Saul; Perez-Perez, Jesus; Kulisevsky, Jaime; Munoz, Esteban; Santacruz, Pilar; Ruiz-Idiago, Jesus; Mareca, Celia; de Diego-Balaguer, Ruth; Camara, Estela 2019, 'An active cognitive lifestyle as a potential neuroprotective factor in Huntington's disease', Neuropsychologia, 122, 116 - 124. LigVoxel: inpainting binding pockets using 3D-convolutional neural networks, M Skalic, A Varela-Rial, J Jiménez, G Martínez-Rosell, G De Fabritiis, Bioinformatics, Volume 35, Issue 2, 15 January 2019, Pages 243–250. Sole-Daura, Albert; Notario-Estevez, Almudena; Carbo, Jorge J.; Poblet, Josep M.; de Graaf, Coen; Monakhov, Kiri Yu. ; Lopez, Xavier 2019, 'How Does the Redox State of Polyoxovanadates Influence the Collective Behavior in Solution? A Case Study with [I@V18O42](q-) (q=3, 5, 7, 11, and 13)', Inorganic Chemistry, 58, 6, 3881 - 3894. Sousa, Carmen; Alias, Marc; Domingo, Alex; de Graaf, Coen 2019, 'Deactivation of Excited States in Transition-Metal Complexes: Insight from Computational Chemistry', Chemistry-a European Journal, 25, 5, 1152 - 1164. Spivak, Mariano; Lopez, Xavier; de Graaf, Coen 2019, 'Trends in the Bond Multiplicity of Cr-2, Cr-3, and Cr2M (M = Zn, Ni, Fe, Mn) Complexes Extracted from Multiconfigurational Wave Functions', Journal Of Physical Chemistry A, 123, 8, 1538 - 1547. Sousa, Carmen; Alías, Marc; Domingo, Alex; de Graaf, Coen 2019, 'Deactivation of Excited States in Transition‐Metal Complexes: Insight from Computational Chemistry', Chemistry, a European Journal, 25, 5, 1152-1162.